Care Opportunities is a specialist independent social care provider for adults with mild, moderate to severe learning disabilities. 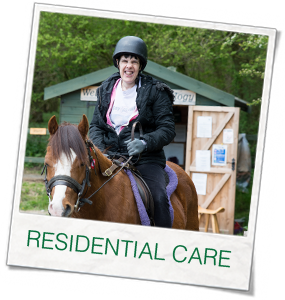 Since being founded in 2005, Care Opportunities has delivered specialist health and social care within a safe supportive environment to individuals in Surrey and North Hampshire. 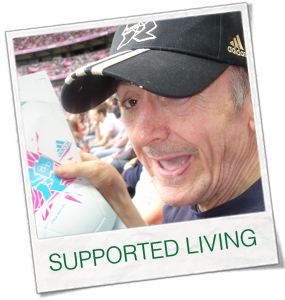 We have a wealth of experience in providing both Residential Care and Supported Living Services to adults. All support is outcome focussed, with the aim to empower the individual to become as independent as possible. Our Residential Care service is a home for up to 6 people. This service is staffed for 24 hours a day and offers a complete package of care, with all accommodation, meals, in-house activities and support with personal care provided. All of our service users receive a personalised and unique support package. Our Supported Living Service provides individuals with support within their own home, and a secure tenancy with a housing provider is offered. All service users receive a unique package of care with a staff to client ratio that is appropriate for their needs. “Proactive strategies for challenging behaviour require well–organised and managed services, employing enough well-trained staff supported by enough well-trained professional specialists (psychology, speech and language therapy, psychiatry etc).” J. Mansell, The Forward to Ethical approaches to physical interventions, Responding to challenging behaviour in people with intellectual disabilities edited by By David Allen, Published by BILD Publications 2002. ISBN 1 904082 01 7. We have our own in-house Consultant Clinical Psychologist, Behavioural Specialist, Assistant Psychologist, Clinical Compliance Officer and Speech and Language Therapist, who all support and train our staff team. Care Opportunities 2014 © All rights reserved.